The following is a breakdown of recruiting within the SEC from 2002-2015. The data is sorted by percentage of 4 & 5 star talent signed. I realize Texas A&M and Missouri were not in the conference but I added them just to show the impact of their move to the SEC in 2012. During this time period Florida tops the league with 57.6% of their recruits being 4 & 5 star talent. They also signed the most Scout Top-100 players during the time period. Auburn is No. 6 in the league and Alabama is No. 8. Florida remains No. 1 in the league with an even higher percentage of 4 & 5 star talent and still No. 1 in signing Scout's Top-100 players. Florida's rise in the SEC under Urban Meyer (2005-2009) is justified by their recruiting rankings. Auburn has edged up to No. 5 and Alabama has made a huge jump from No.8 to No. 4 in the league with the entrance of Nick Saban. Alabama went from less than 20% 4 & 5 star talent to 53%. Four years later Saban now has Alabama at the top of the conference, cashing in on multiple National Championships along the way. Florida has tumbled to No. 6, which explains their drop off since the departure of Urban Meyer. Georgia is now at their lowest point, which might explain why they have not won a conference title since 2005 and one of the reasons why Mark Richt was pushed out. Auburn is now at an all time high but there are concerns for the Tigers. We tend to focus on the number of 4-5 star recruits and overlook the 3-star players. The 3-star players are normally quality players but most need a couple of years to develop physically and mentally. There are also 5-star recruits coming out of high school that have already maximized their abilities. This is the very reason why I have commented on the level of experience before every season the past couple of seasons. From 2002-2006, no team had more than 90% 3-star recruits and above. From 2007-2011, there were 4 such teams. During the last 4 years there are 9 teams and Arkansas and Mississippi State are very close to making it 11. From 2002-2006, 62.1% of their players signed in the SEC were 3-stars or better. It increased to 78.6% from 2007-2011. It is now at 91.8% from 2012-2015. Why is this important? Tommy Tuberville's Auburn teams tended to have their most success years when they had a high number of seniors or veteran players on their roster, regardless of their percentage of 4-5 star recruits. Many of those 3-star players Auburn recruited later developed into top talent by the time they were juniors and seniors. Schools like Ole Miss, Miss State and Arkansas have slightly improved their 4-5 star talent level but they have made a major jump in their 3-star and above talent. During 2014 and 2015, both Mississippi schools had a high number of veteran players, which made them extremely competitive. Many of their 3-star players signed have developed into SEC-caliber talent. Add to the mix, good QB play with Brandon Allen, Dak Prescott and Chad Kelly and they can beat anyone in the conference on a given Saturday. Those three quarterbacks were the top-3 in the conference this past season. Note that Vanderbilt, Kentucky and Missouri are low in talent during the majority of 2002-2015 and suddenly the EAST Division is a cake-walk compared to the West. The West-Division has now become the most competitive Division in the SEC and the above rise in talent reveals why. I've researched and posted the numbers before, which shows how the SEC is the most dominant conference among the Power-5 conferences, when it comes to recruiting. Nearly 40% of the nation's 4-5 star talent are signing with SEC programs the last 4-5 years with the remaining 4 conferences splitting the remaining 60%. This is the very reason why the SEC has played in the MNC Title game in 9 of the last 10 years. 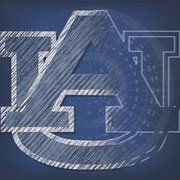 Though Auburn has become more talented on paper, which has resulted in two National Championship runs in 4 years (2010-2013), the competition is becoming more challenging. Not only does this make recruiting even more challenging for the Auburn coaches, Auburn must become more efficient in player evaluation and development. We see how Alabama processes their roster every year, which makes them even stronger in terms of depth and talent. By processing 5-6 players per season, they are basically signing an additional class every 4 years, a huge advantage over the remaining SEC. With Kirby Smart going to UGA, we could see a similar process taking place at Georgia. I believe we will see more teams across the country utilizing some form of processing players to maximize the value of their roster. I hope this isn't the case but how else will teams compete with programs already processing their rosters? Good analysis Stat. It is what it is and in the world of big time college football, the process is here to stay. Massive difference in T-100 players for Bama vs rest of SEC in last 4 years. Yep.... their "top-100" players really stands out. This is normally the cream of the crop and Alabama had a huge edge in this category compared to Oklahoma, Michigan State and Clemson. I thought Clemson matched up well against Alabama because of their DL. Clemson is built like an SEC team and if not for a 14-point swing in special teams, Clemson wins the Championship. The irony was their KR-Defense was rated in the 100's coming into the game just like it was for Auburn in 2013, when they lost to Florida State. Both teams gave up a KR for a TD, which cost them a championship. Thanks for the detail work Stat. One factor that I think influences the power structure (besides coaching) are the number of early departures to the NFL. Lots of these 4 and 5* recruit at LSU and Bama in particular, never reach their potential for their universities because they leave early....often at peak of their capability. LSU lost most of their rising senior class to the NFL a couple years ago and team that should have been #1 was struggling with freshmen and sophs starting. Furthermore, AU, which has had lesser recruiting success (but still quite good) and we too have seen our most dominant junior players pass up their senior seasons to turn professional....thinking of Nick Fairly, Cam, Tre and others who could have drastically improved the fortunes of the program during their senior years. We face that again this year I guess...but some schools are better able to absorb the loss of those 5* departures than others. And as noted, schools who are recruiting lower rated HS players..but who develop them and keep them for their entire college career, are quite competitive despite the lower rated recruiting classes.....that extra year of experience is quite valuable. So processing might be here to stay, but I think early departures to the NFL has a huge impact on the middle teams who see unreplaceable guys leaving early...with much lesser talents behind them. Thanks for that really interesting breakdown, Stat. A couple of observations strike me. 1. In recent years, even though Auburn has recruited well in terms of star power, Auburn has had fewer total recruits than most other SEC teams, putting Auburn at a competitive disadvantage in terms of depth. This is particularly problematic when your top players leave early for the NFL or are lost for an extended period due injury. In fact, how long has it been that we've heard Auburn coaches complaining about lack of depth? 2. It's obvious that there is more to winning than just recruiting. Sure, it's good to have a lot if talent. But based on talent alone, Auburn should never have lost a game to Miss State, Arkansas, or Kentucky. As you point out, experience is a factor, but also coaching is an important factor as well. Auburn has had a lot of coaching turnover in recent years. So have Tennessee and Florida. In comparison, the top teams in the league have had stable coaching staffs -- Bama, UGA and LSU. Recruiting talent is important, but getting them integrated into a stable program is equally important. Recruiting and coaching are clearly the two most important aspects of a successful football program, though there are obviously others. We are three years into Gus Malzahn's program which makes it difficult to accurately gauge player development to this point. Looking at a player like Christian Kirk, WR at Texas A&M, I just don't believe he would have caught 80 passes for over 1000-yards as a true freshman at Auburn as he did with the Aggies this past season. He did this despite their own QB issues during 2015 but he was still a consistent play maker for the Aggie offense. WR development at Auburn has been an issue dating back to the Tuberville era, which is why I believe Auburn struggles signing great receivers out of HS. Frank Sanders is Auburn's most recent 1st team All-SEC wide-receiver (1994) and Lawyer Tillman was the previous Auburn, All-SEC WR. Losing Sammie Coates and Duke Williams for the most past hampered the pass-offense. Most focus on the QB position when the pass-offense struggles but WR-play is a key component as well. Coates and Williams teamed up for 36 impact plays during 2014. Auburn's top combo this season was Ricardo Louis and Melvin Ray, who teamed up for 23 impact plays in 2015. This was a major drop off in explosive plays and now they are gone. Auburn enters 2016 with Marcus Davis, Tony Stevens and Jason Smith as their 3 most experienced receivers. Davis has basically been utilized as a short-possession receiver on the perimeter. Tony Stevens career is beginning to take the same path as Melvin Ray and Jason Smith was a project-athlete converted to WR. It has been a long time since I have been this concerned about the WR corp leading up to a season. Auburn will certainly need Stanton Truitt and Ryan Davis to rebound from their freshman year and for some new faces to make an impact. It is not rocket science to figure out why we are where we are when it translate into wins and loses. Some of you will totally disagree with my assessment and it does merit some consideration. The QB position in my honest opinion is where the success and failures have occurred. since 2012-2015. The successes have occurred with Cam & Nick as QBs. I would love to see how Cam would have done if he had come back for his senior season. We could have had a totally different season. in 2011. Anyhow, I think the QB position is so vital for Gus' offense to work in the most optimal way. I think you need to go back a couple years to get Cam in the pic. There is no denying these are man made climate changes. Identifying and training up high potential three stars is great, but as long as uat is allowed, by whatever means, to monopolize that much of the top 100, and to have that many of the top players at every position land at their school, it will be next to impossible to compete with them. They don't have a weakness because they have multiple top ten players at every position. It's hard to scheme against that kind of imbalance. I bet there are not more than a handful of the top 100 players that don't have bama on their top 5 list. It's gotten like Duke and UNC in basketball....all of those schools could sign more 4* and 5* kids than they want or need. Sure they eventually lose some of them but I bet NS or Coach K and a few guys like that are welcome into the homes of every elite athlete in the country. Those guys are not going to coach forever......but until they retire, they have a built in advantage over everyone else. My bad, you are right! Thanks for helping me to get it straight! I know this is off topic, but I wanted to share with you that my Belle, the super Corgi, lost her best friend on Friday. George, a 15.5 year old mutt lost his battle with cancer. Belle looks for him every time I take her out. It is heart-breaking to watch her trying to find her buddy. I love my little Corgi girl like a child. You would too if you knew her! Obviously the QB position is important but not having a solid corp of receivers makes a big difference. The 2015 WR corp was the 18th best among the last 25 groups.